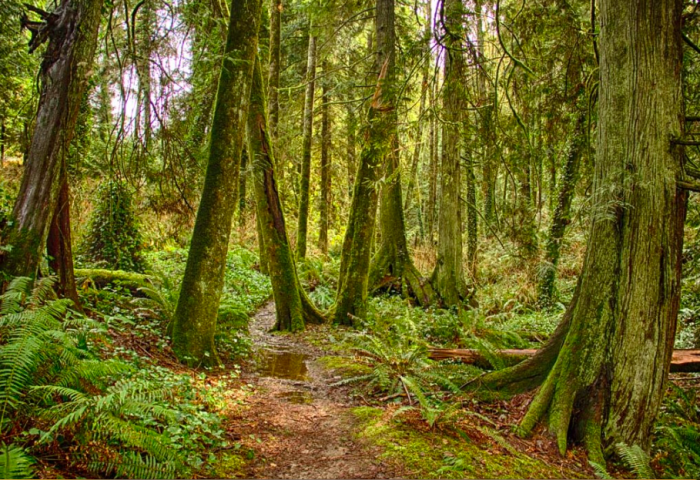 Bainbridge Island is a 35 minute ferry ride from Seattle and is a worthy running destination — especially for trail running. has many trails to run on and is divided into 3 sections: north island, central island and south island. In the north is Hidden Cove Trail and Manzanita Park Trail, both covering 2 miles each. On central island, you will find Battle Point Park at 3.15 miles, and Grand Forest East and Grand Forest West Trail Systems each covering 3 miles. And in the southern part of the island you will find Fort Ward Trail System at 3.3 miles. All trails mentioned are marked Easy, except for the Ford Ward Trail System which is marked as Intermediate.